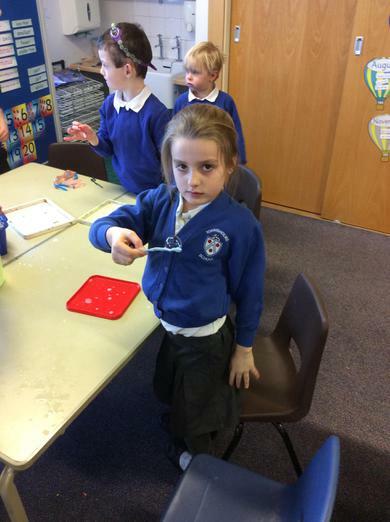 Space, week beginning 15th January. 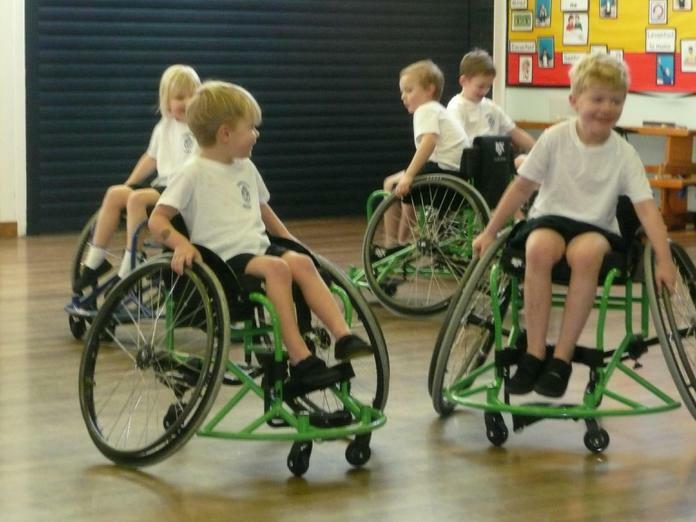 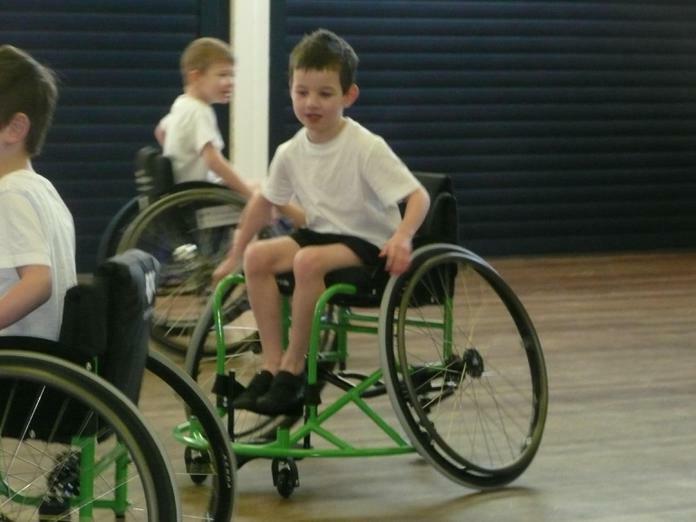 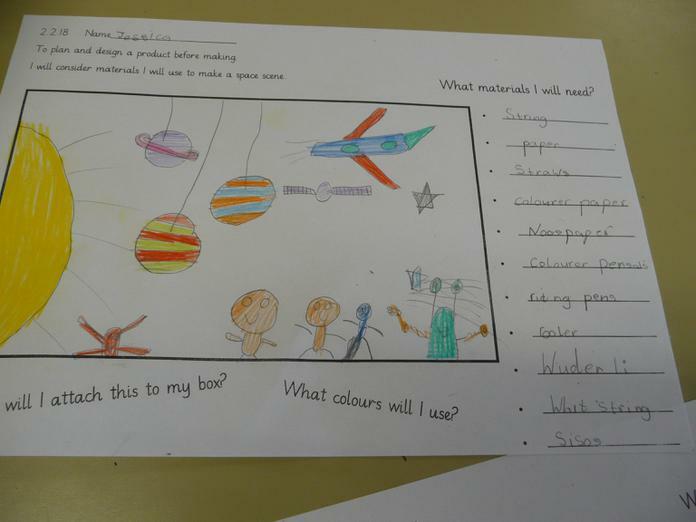 This week we have started our new 'Space' topic. 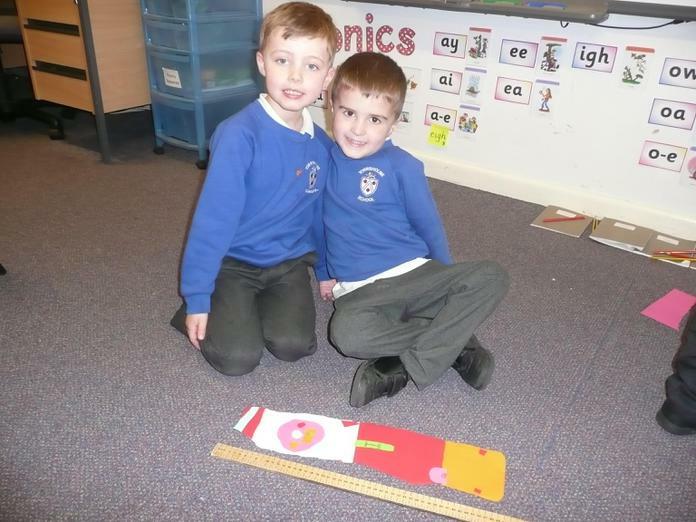 In Literacy, we have used non-fiction books to read facts about space and our solar system and have carried on last week's poetry theme by writing poems about looking through a telescope. 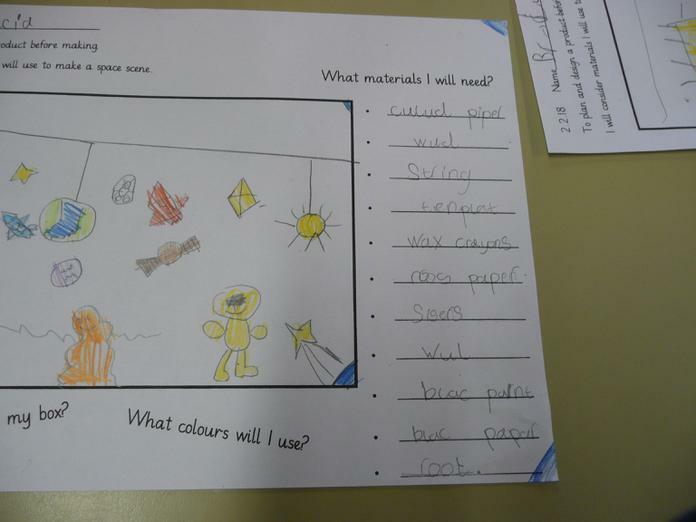 We have also been writing glossaries and practised spelling space words which are going to be very useful during this topic. 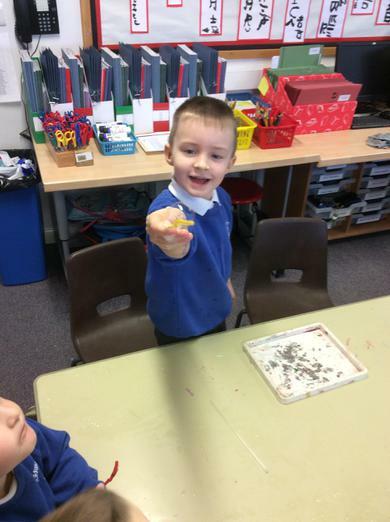 We have also started to learn the names and order of the planets in our solar system. 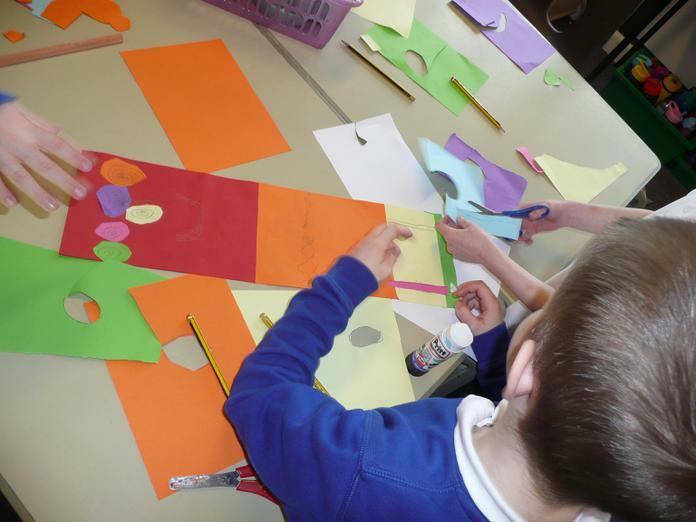 To end the week, we learnt about stars and created pictures of constellations found in the Milky Way galaxy. 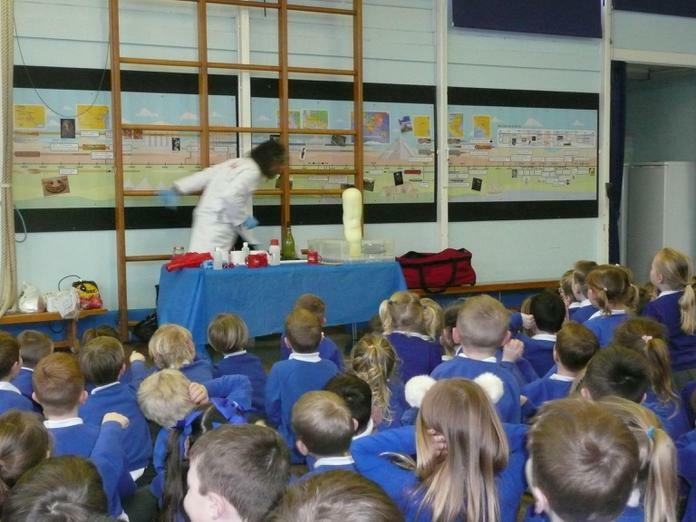 Next week will be astronaut training week. 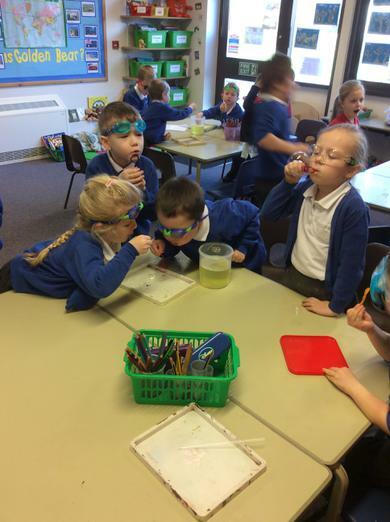 Watch this space to see if 1B has what it takes to become the next Tim Peake! 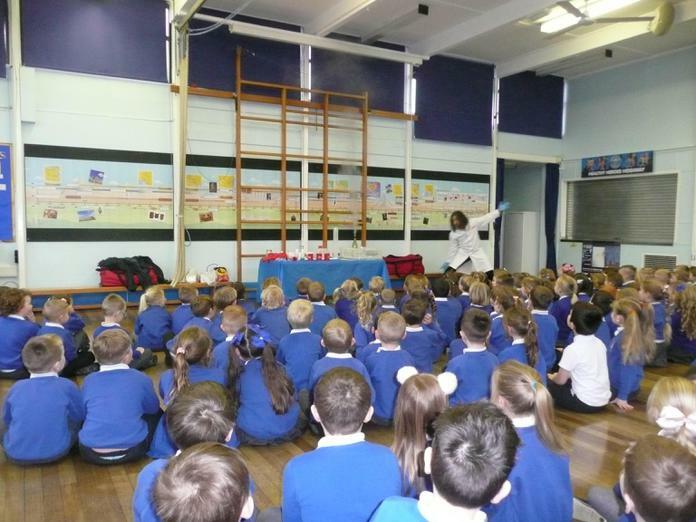 This week was astronaut training week. 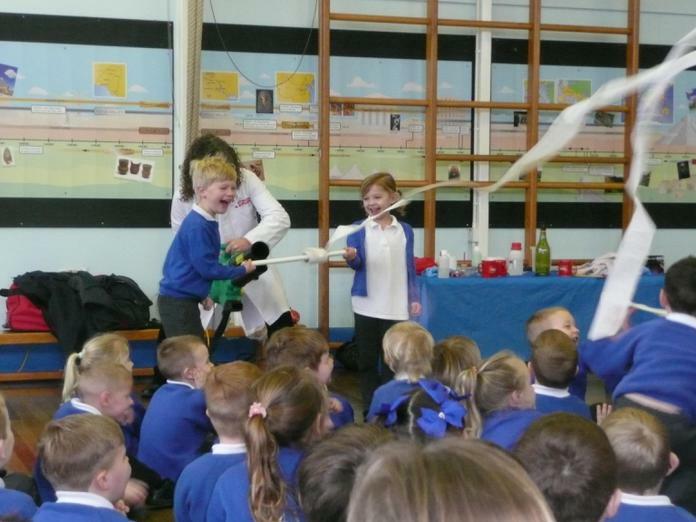 We learnt all about launching a rocket into space and heardlots of new words associated with rockets and launching a rocket, such as rocket boosters, fuel tanks and flight deck. 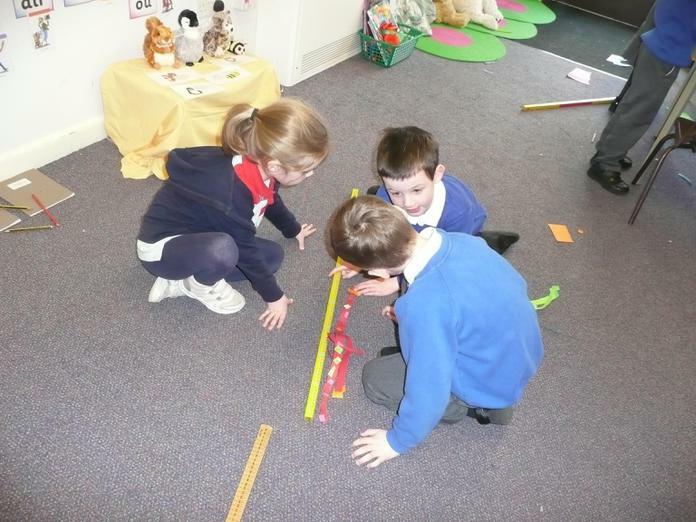 In Literacy, we used a countdown for a shuttle launch as a basis for writing our own space poems. 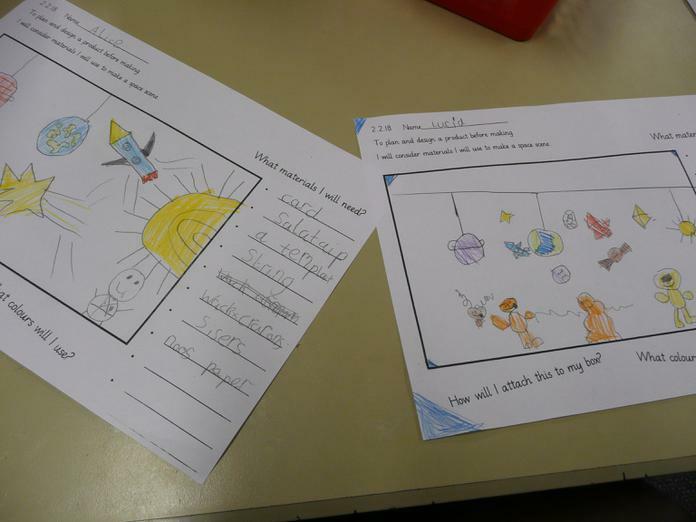 We also wrote sets of instructions for an astronaut about how to launch a rocket into space. 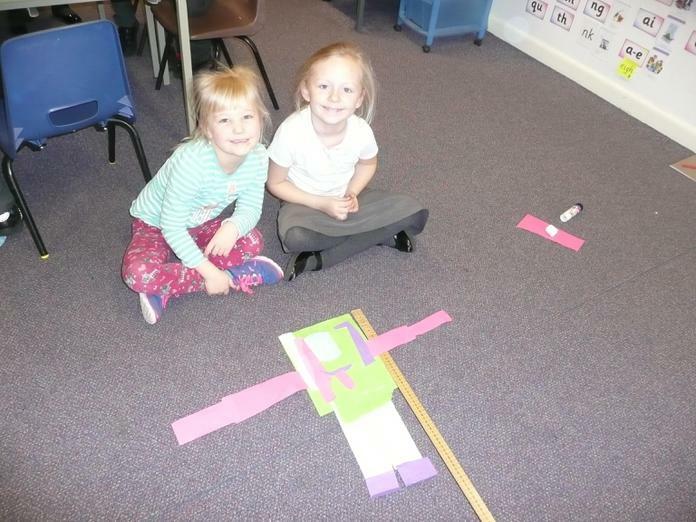 We used our knowledge about rockets to build a rocket from paper and cardboard. 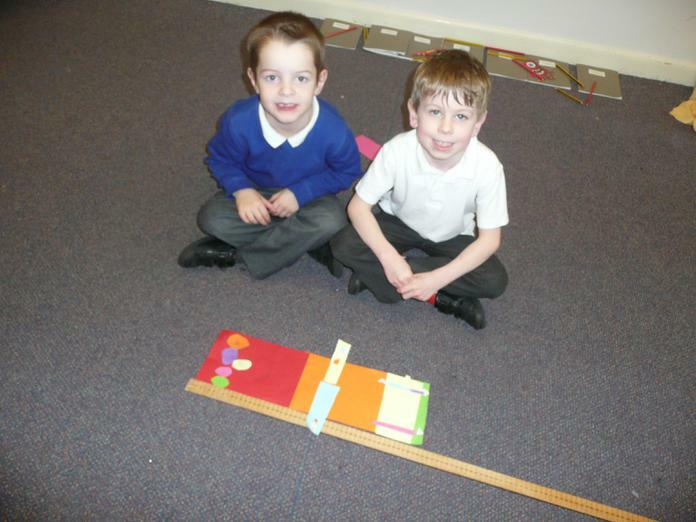 We were set the challenge of working as part of a team to create a model without being given any instructions! 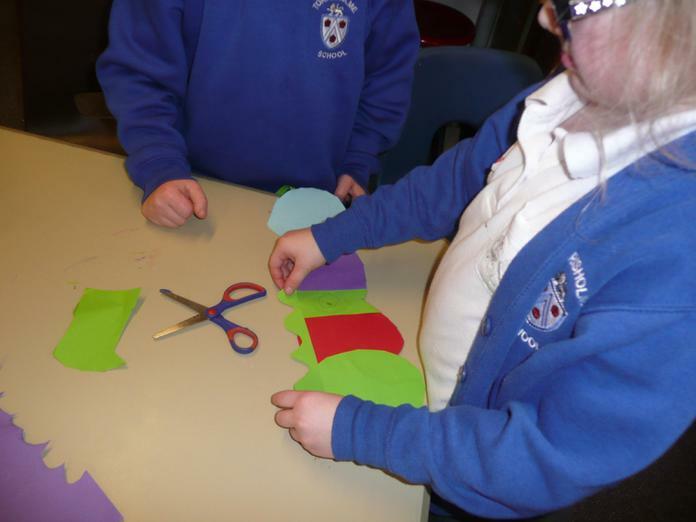 We had to work closely with our team to talk about our ideas before starting our models. 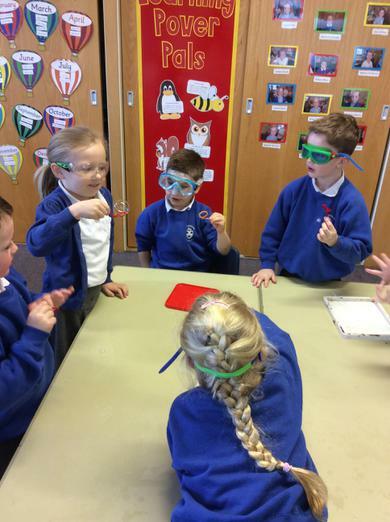 It was very tricky making sure that everyone knew what they were doing and making sure everyone had a job to do! 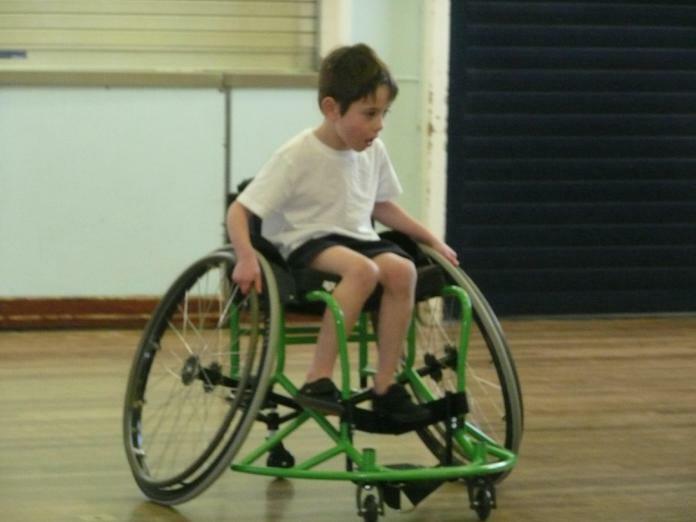 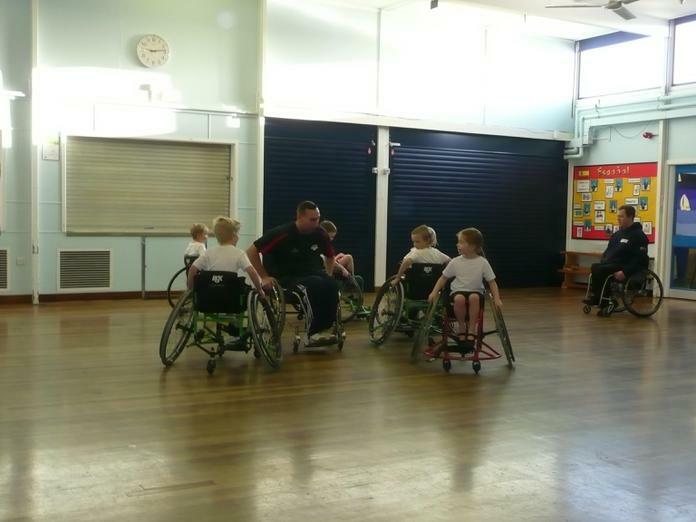 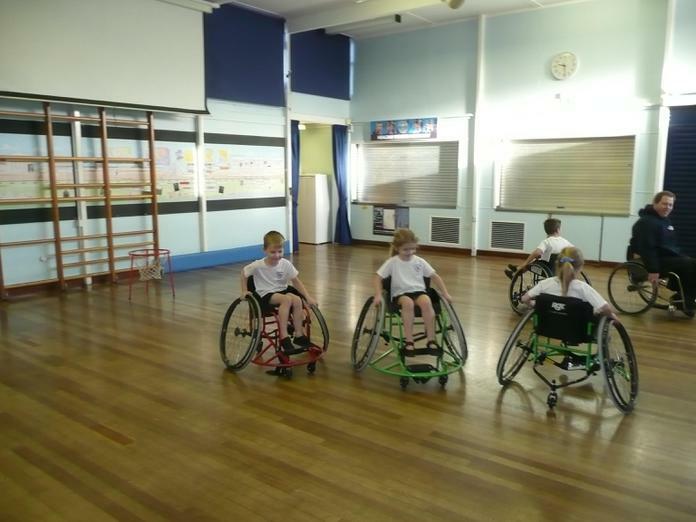 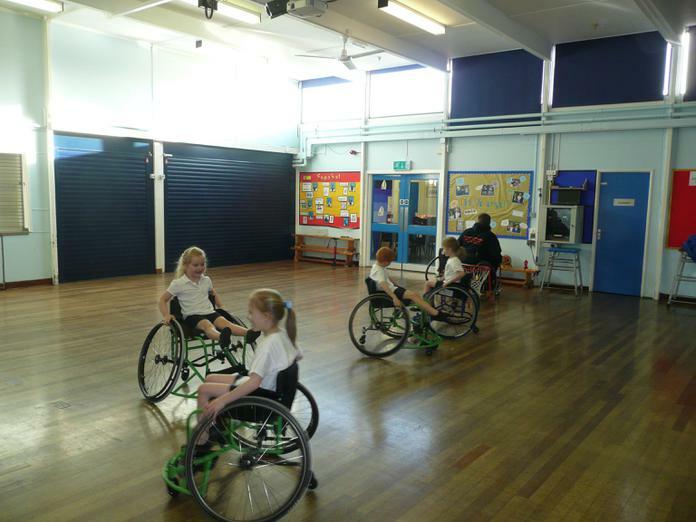 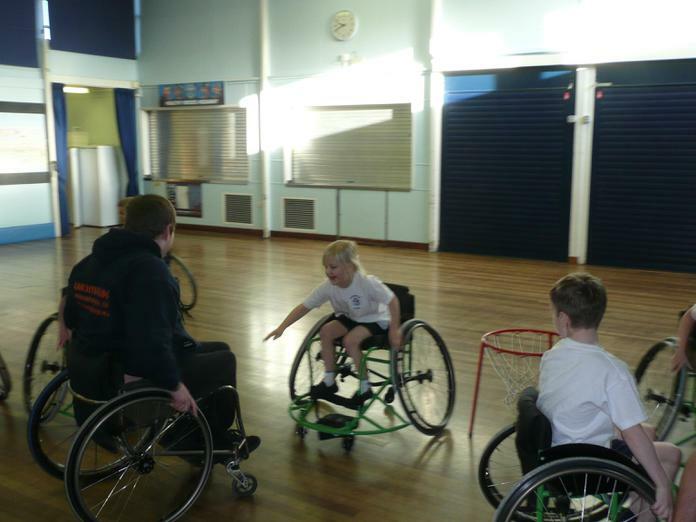 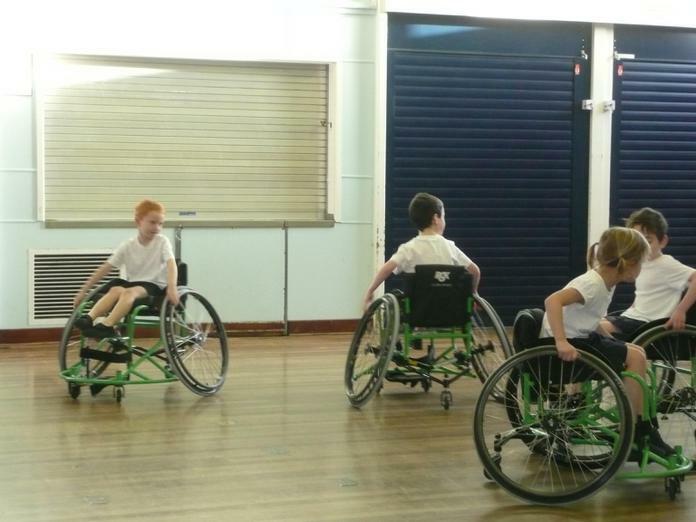 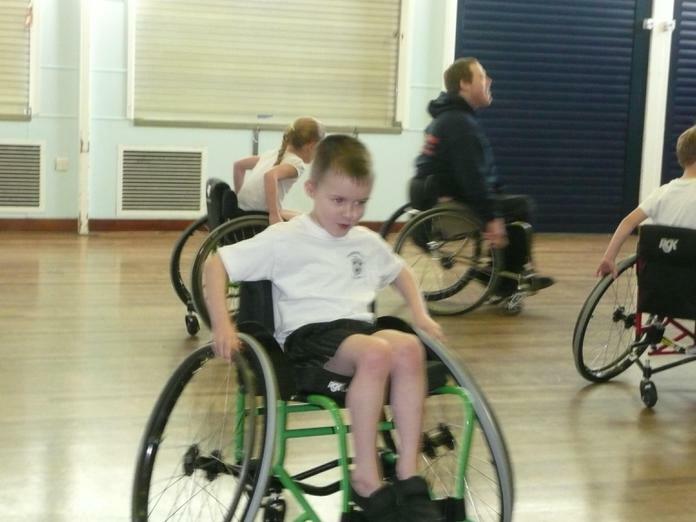 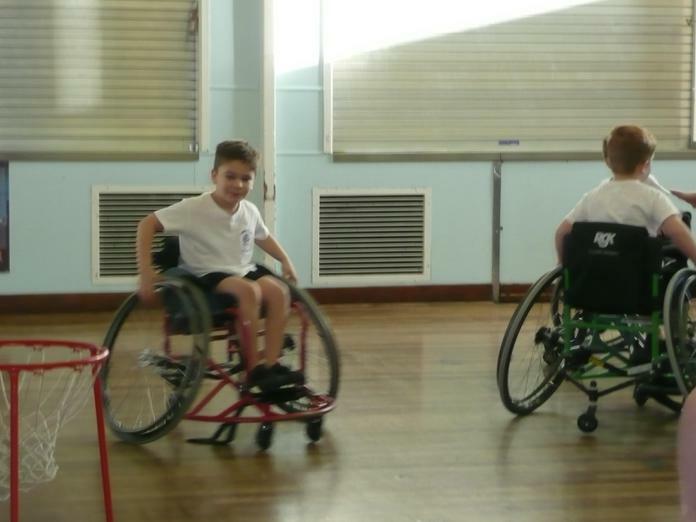 Our week finished with some exercises in the hall to make sure we were fit enough to pass our astronaut training. 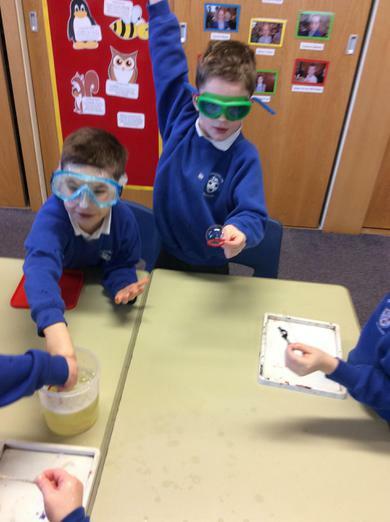 We practised putting on our space suits, swinging across craters, collecting moon rocks, star jumps and moon walking! 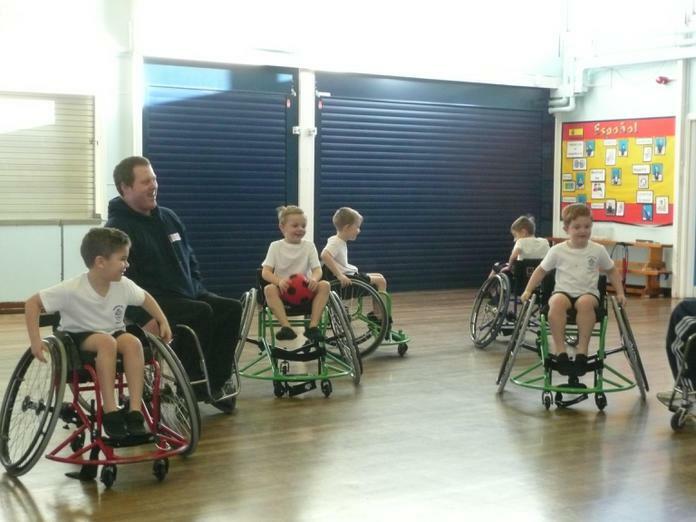 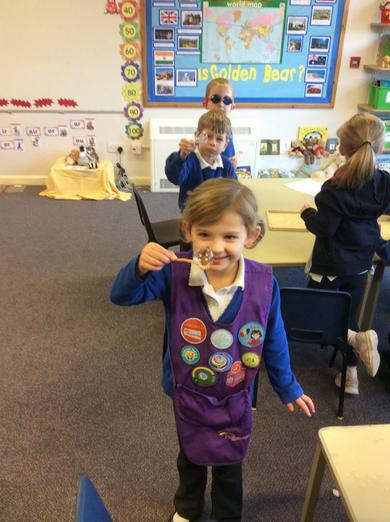 Everyone passed their training with flying colours. 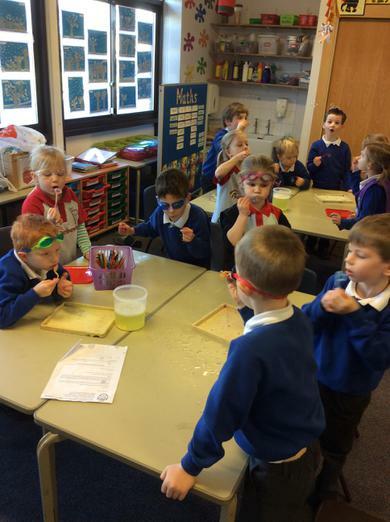 Well done 1B! 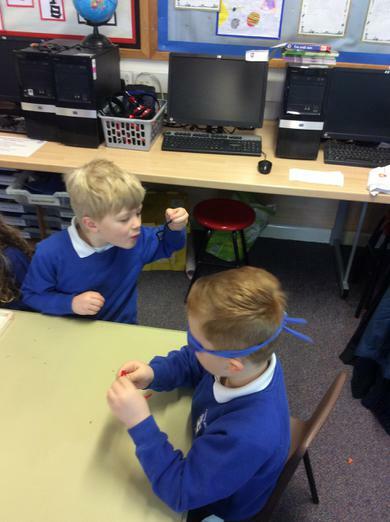 Working as a team to build rockets. 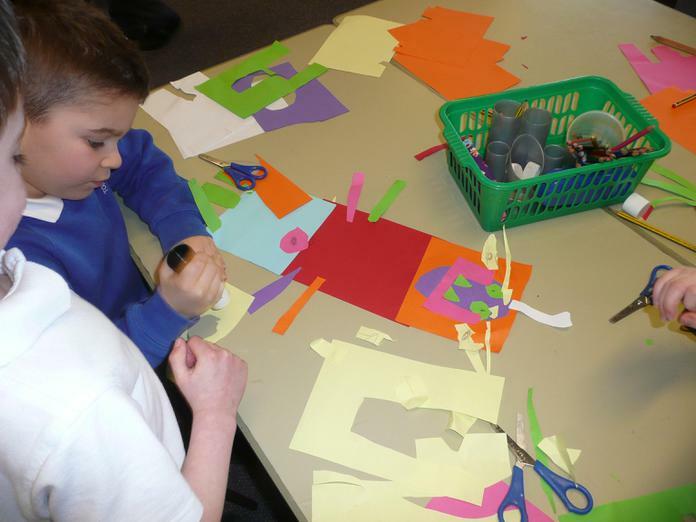 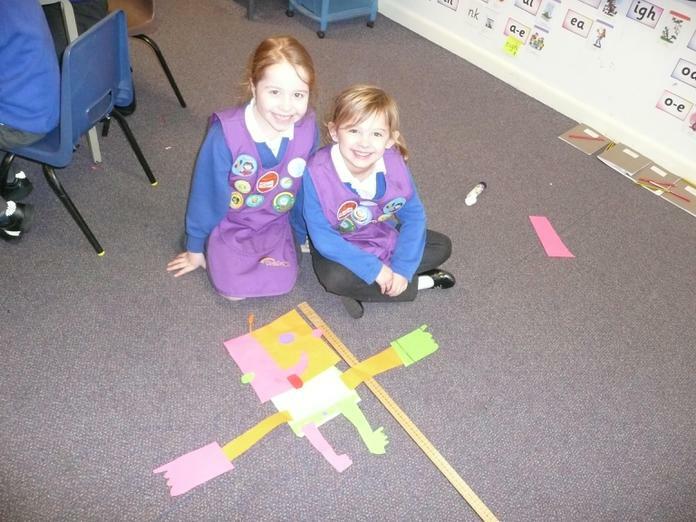 On Friday we dedicated a whole day to designing and making our very own space scene in a box. 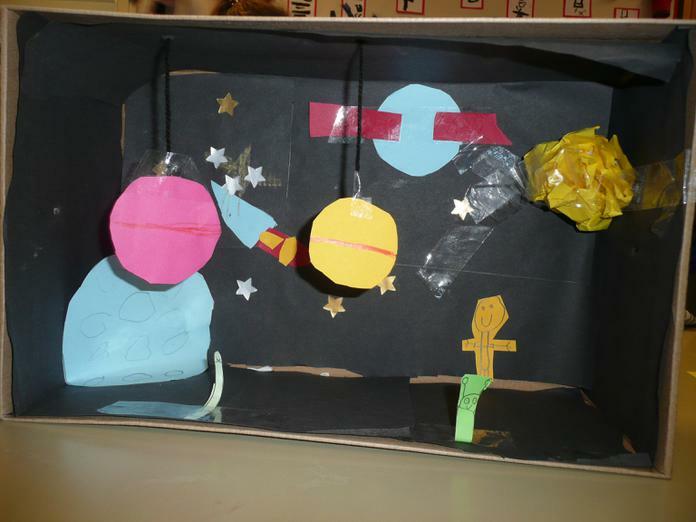 We used our knowledge of space and the solar system to design a scene to go inside our box. 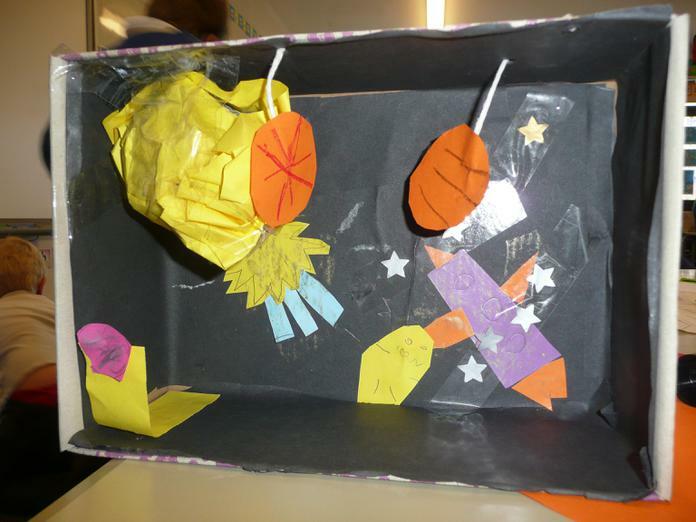 After that, we lined the inside of our boxes with black paper before adding details from our designs. 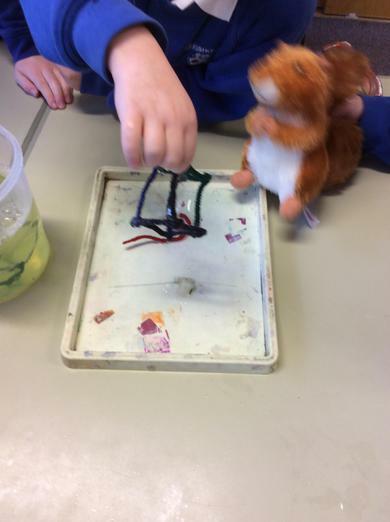 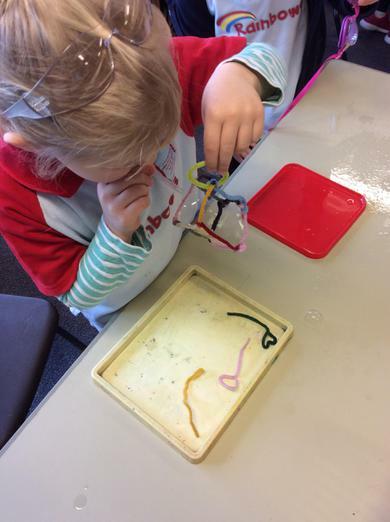 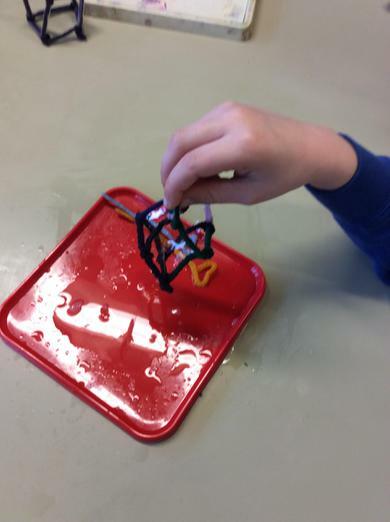 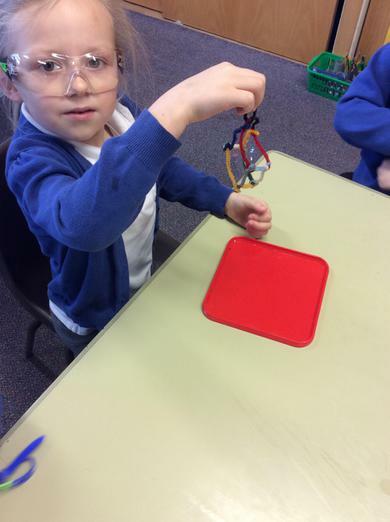 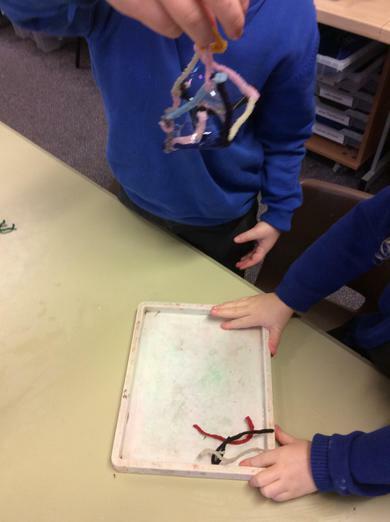 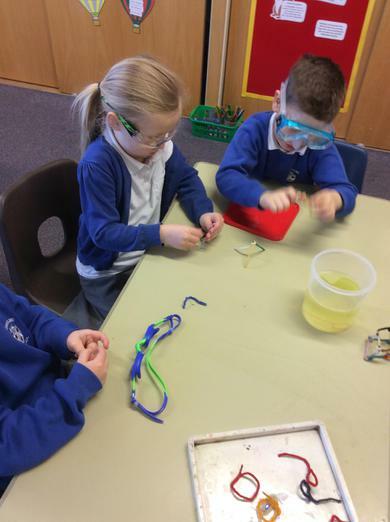 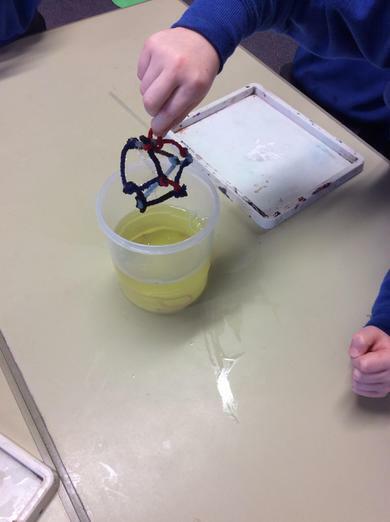 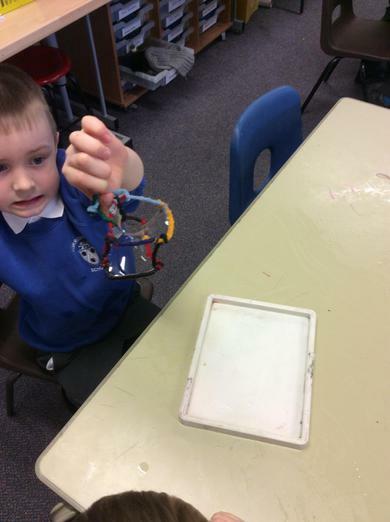 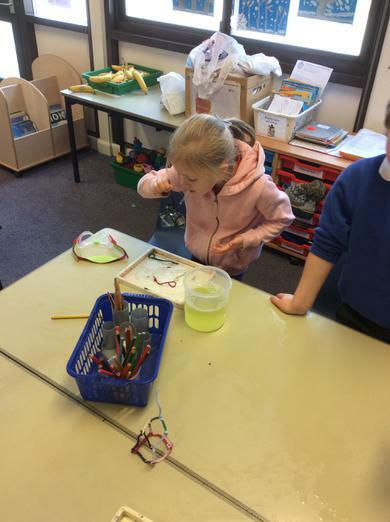 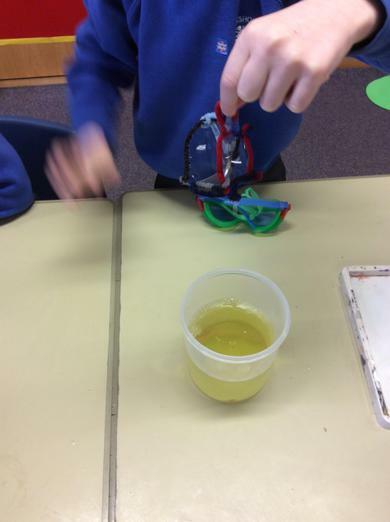 This week the children have been carrying out some experiments and exploring forces. 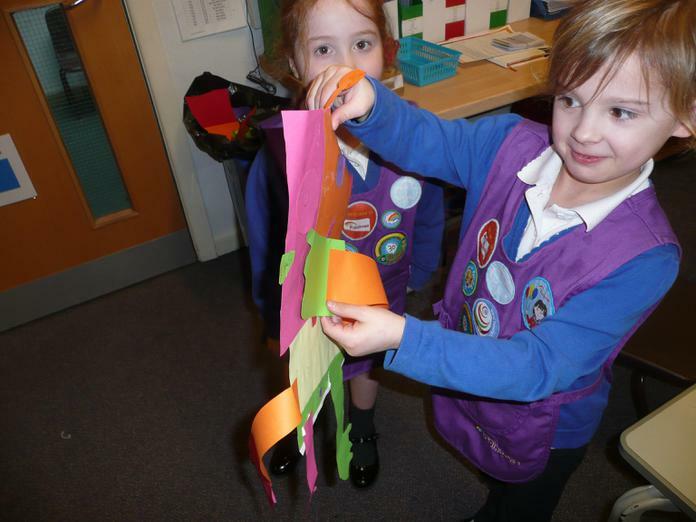 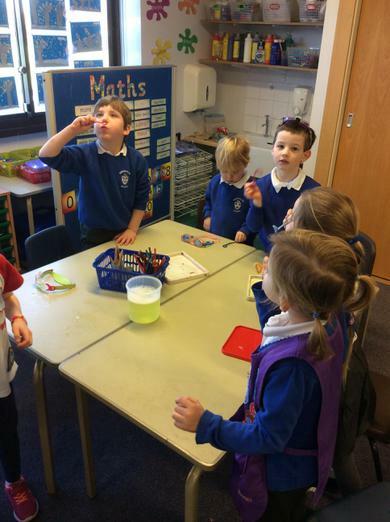 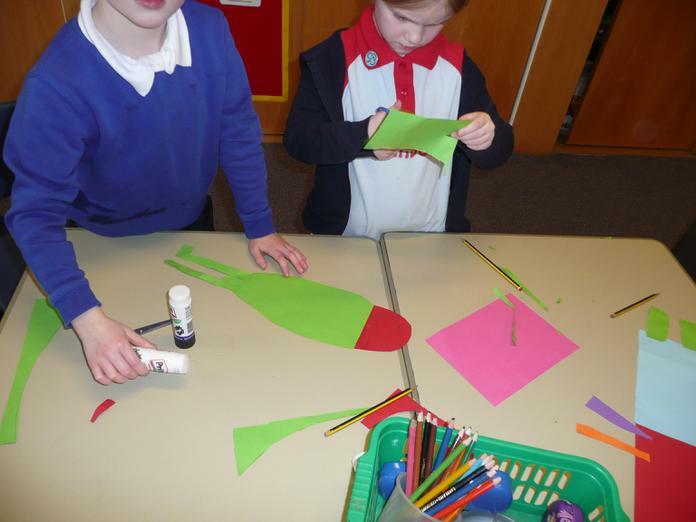 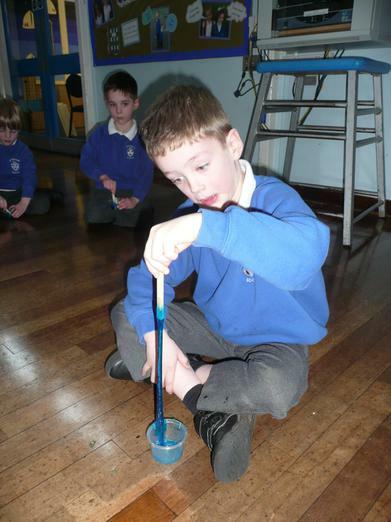 They have enjoyed making 'Rocket mice' which could be launched into the air with the help of an empty bottle! 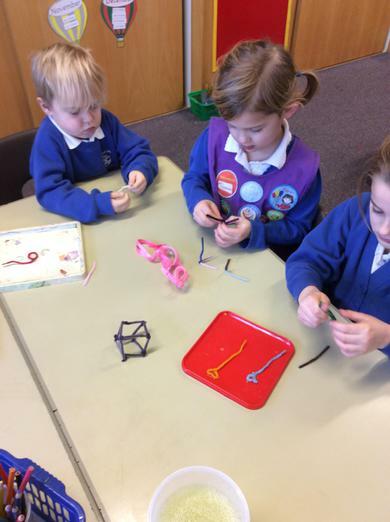 They also explored pushes and pulls during a lesson making string rockets. 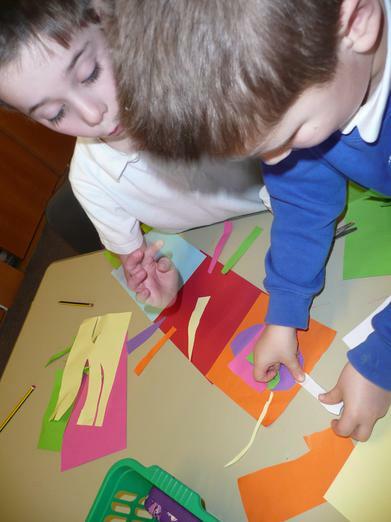 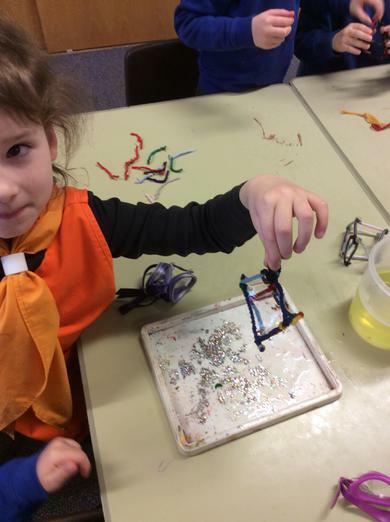 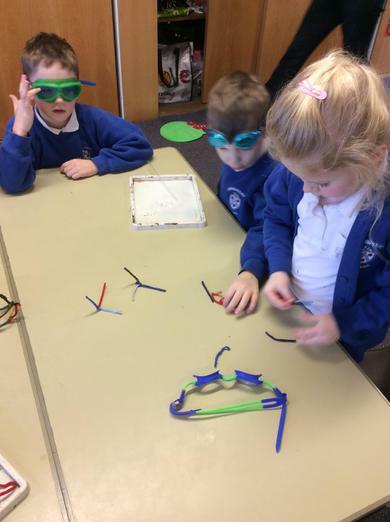 Science Week - The Aliens Are Coming! 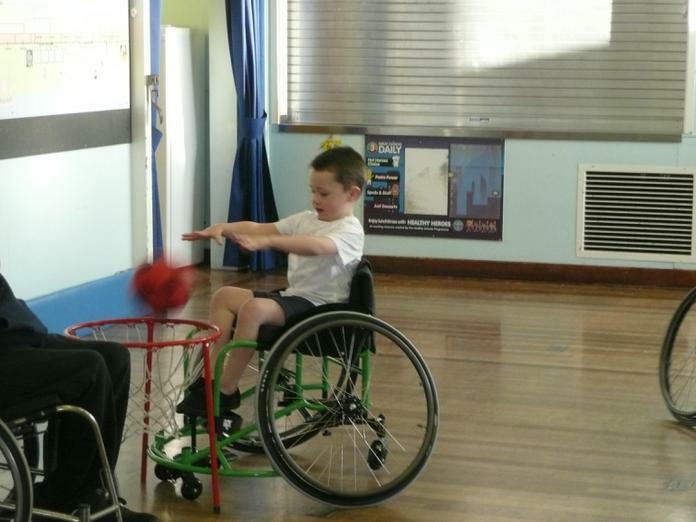 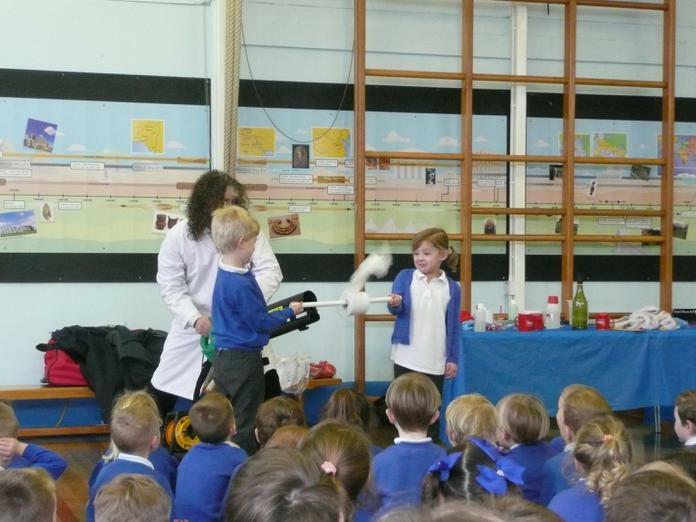 Science Week has arrived and after our half term break the children were straight into action! 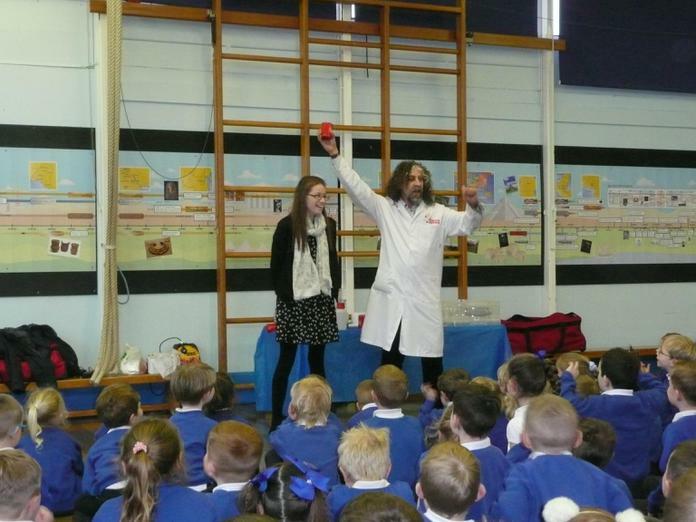 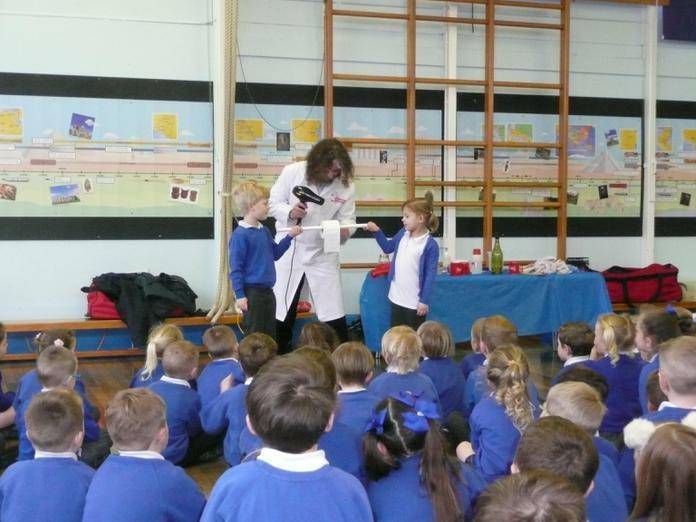 Our day started with a visit from 'Science Boffin' Joel. 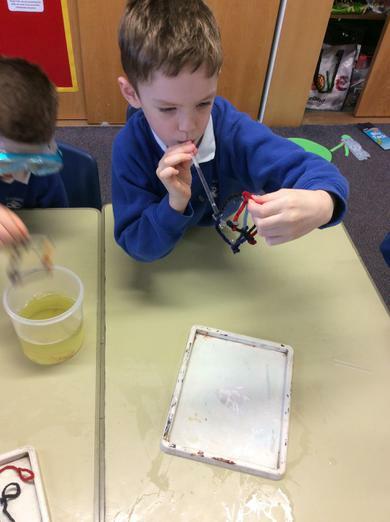 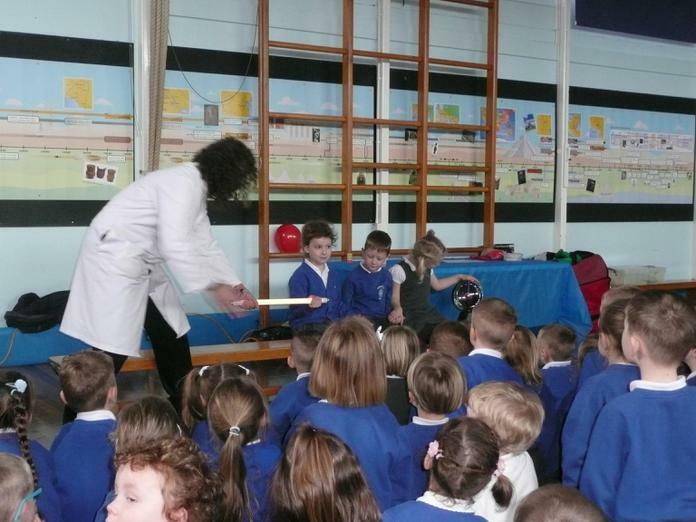 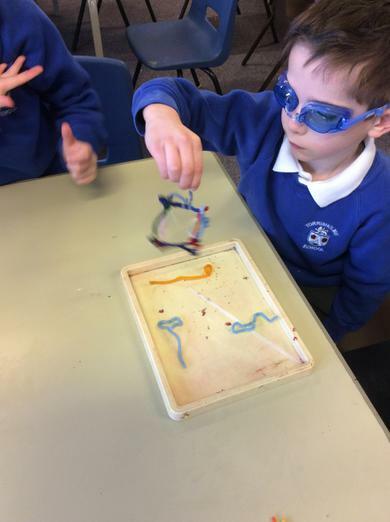 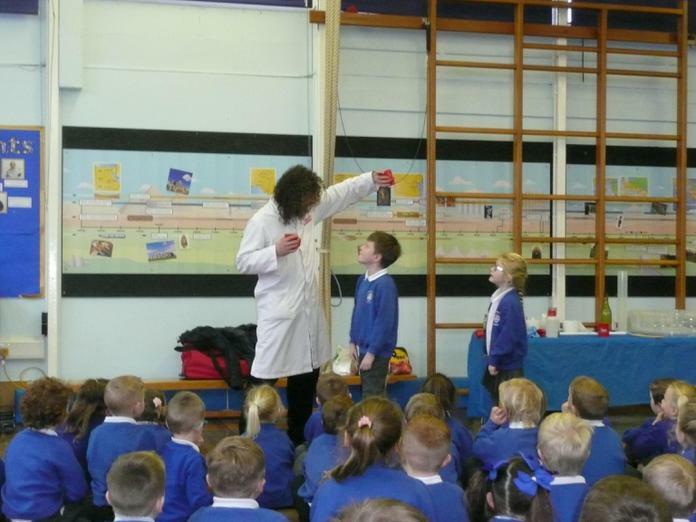 Joel got our week off to a flying start with his exciting experiments which had the children entertained and amazed from the start. 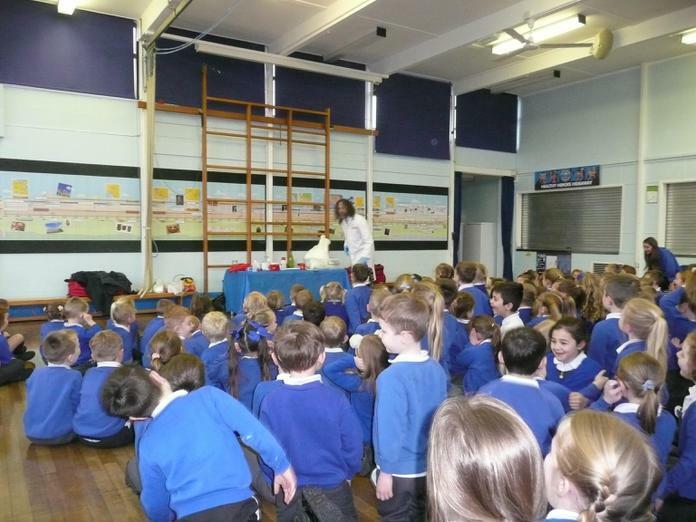 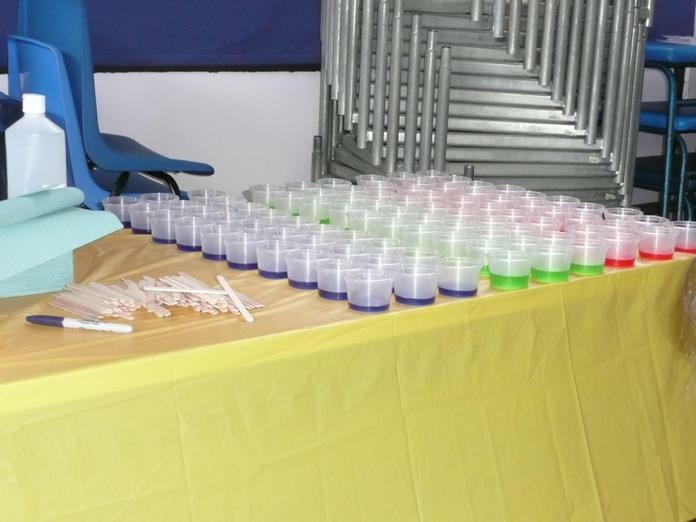 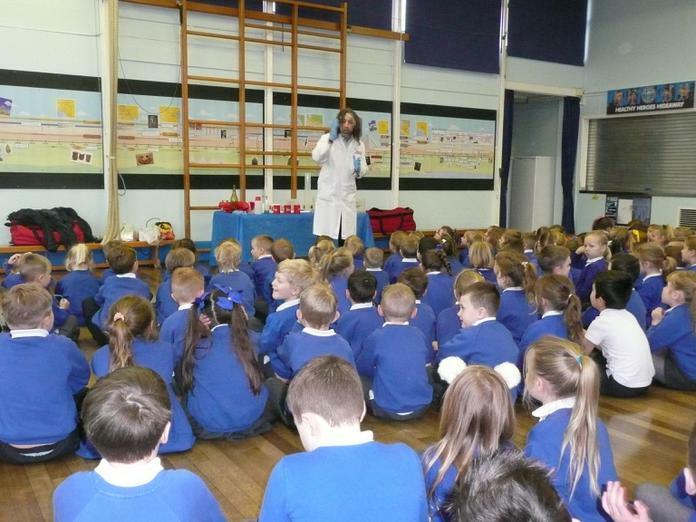 He shared some experiments in an assembly with the children from Reception and Key Stage 1 and later in the morning 1B joined Joel again for a slime making workshop. 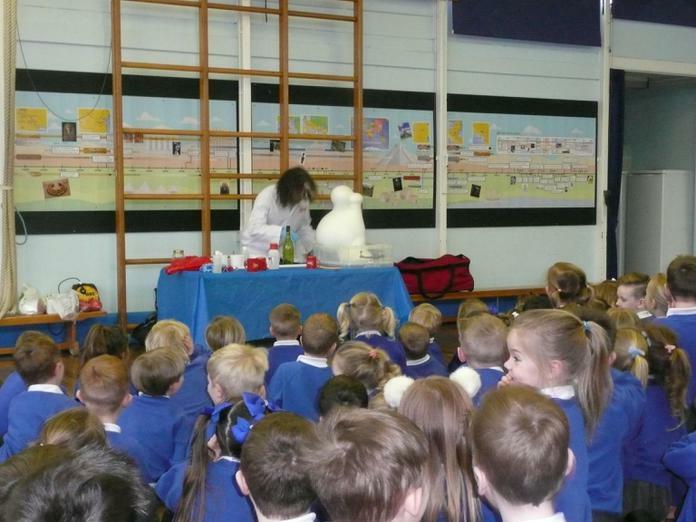 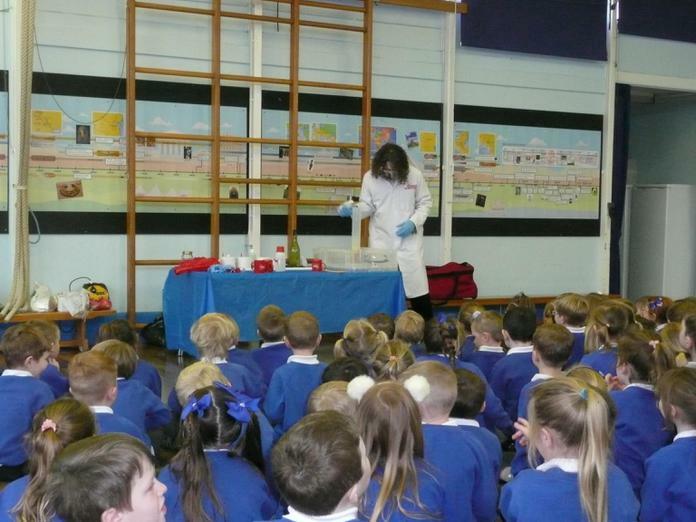 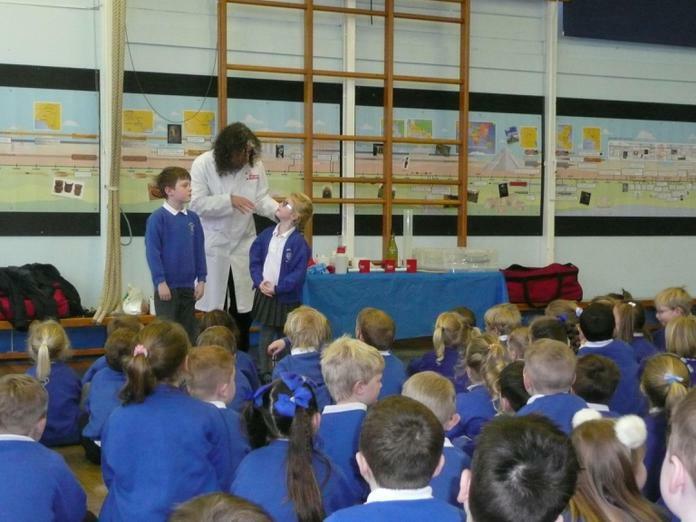 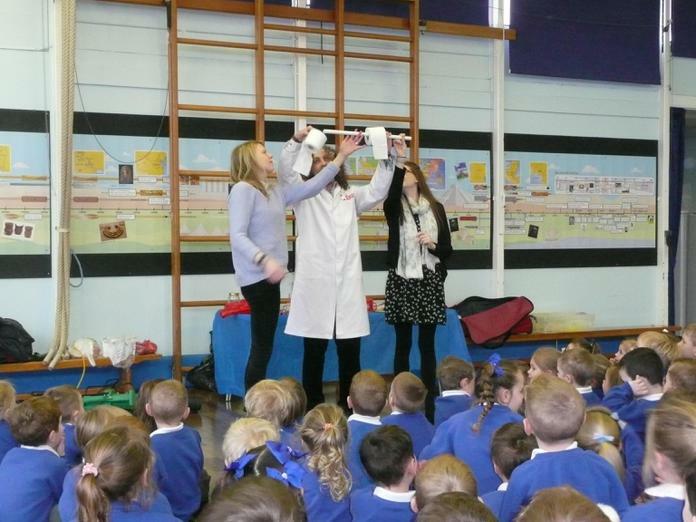 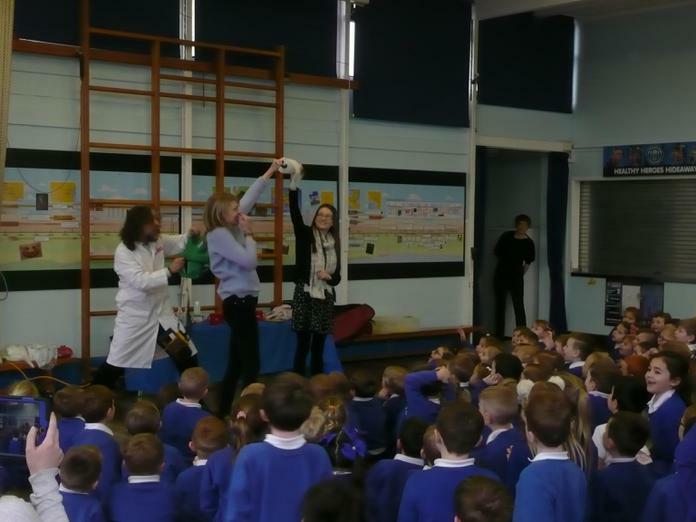 We all wanted to be scientists after meeting 'Science Boffin Joel'! 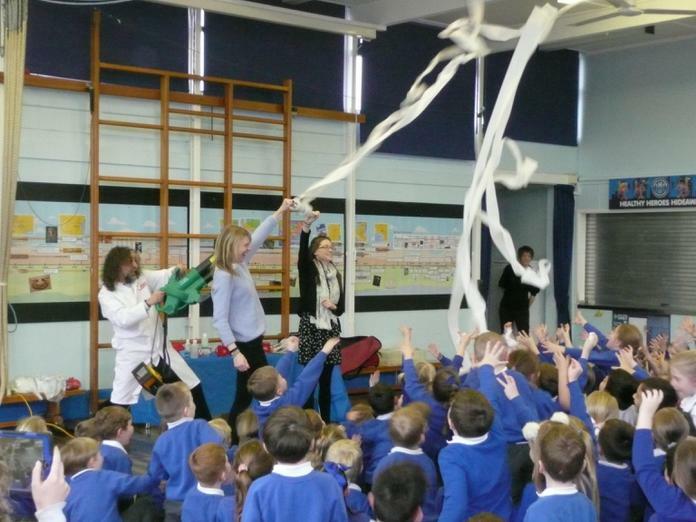 Monday - Astro nappies investigation. 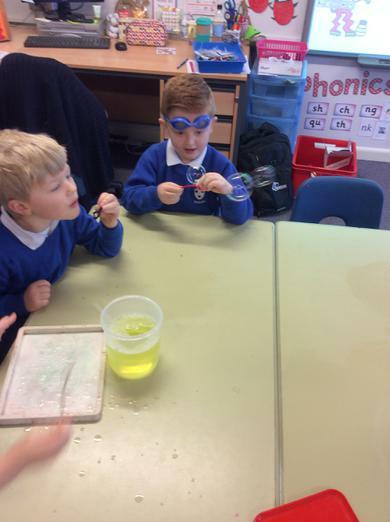 We received some information about our alien visitors which explained that when the aliens arrive, and pass through the Earth's atmosphere, they will be frozen and will need to be defrosted as soon as possible. 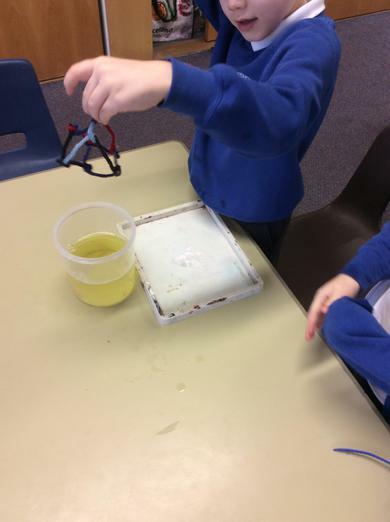 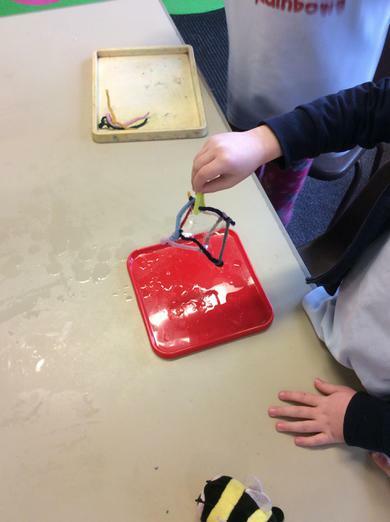 The children set to work testing different ways to melt ice. 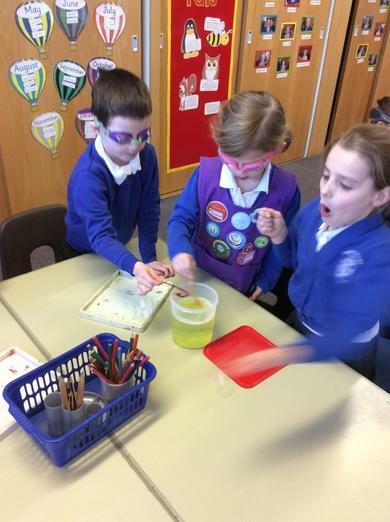 They worked as a team to see what could melt ice the quickest with each group having a set of ice cubes with jelly aliens in the middle to rescue. 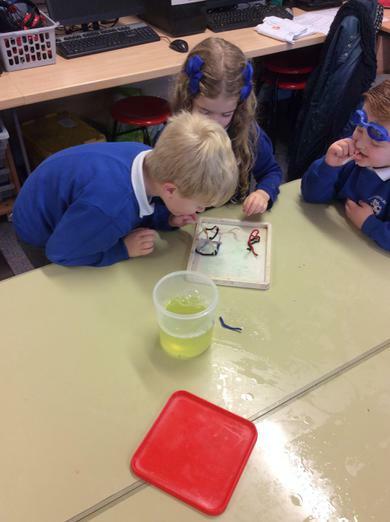 Freeing aliens from the ice! 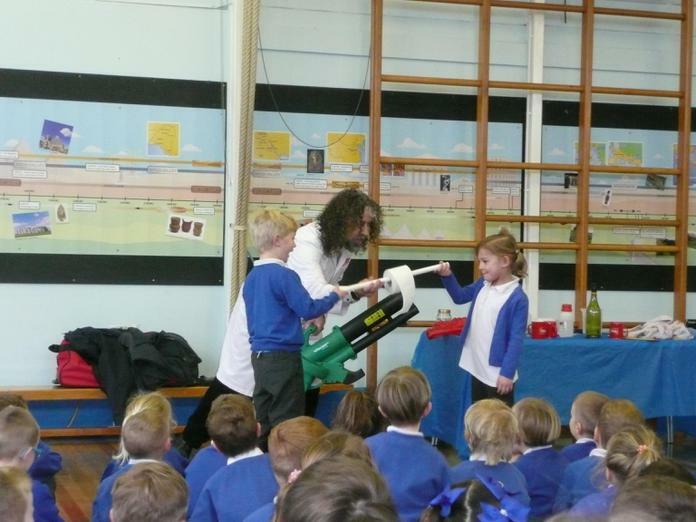 We explored air pressure and made games for the aliens. 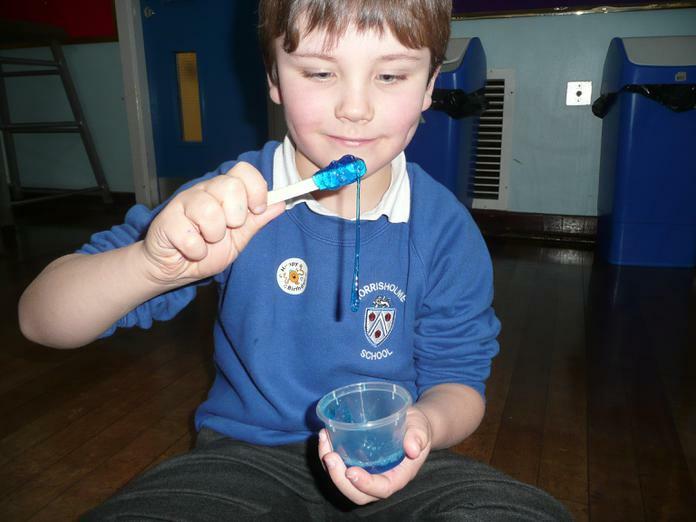 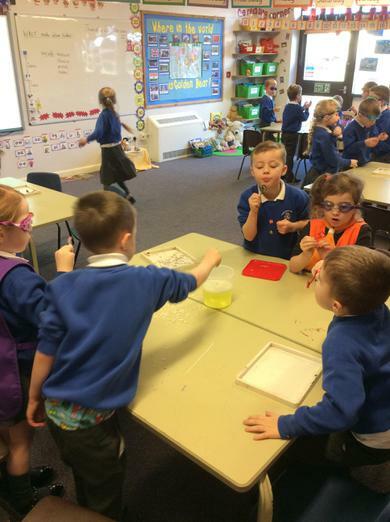 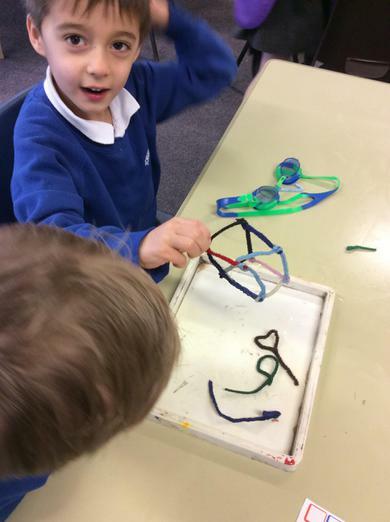 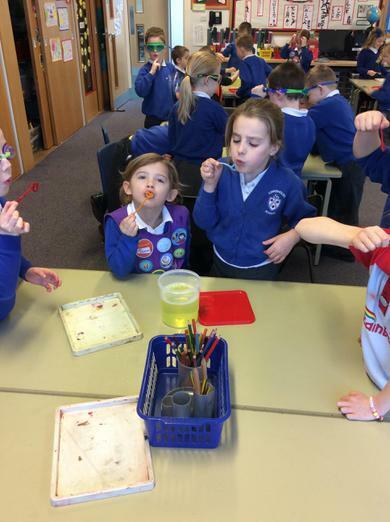 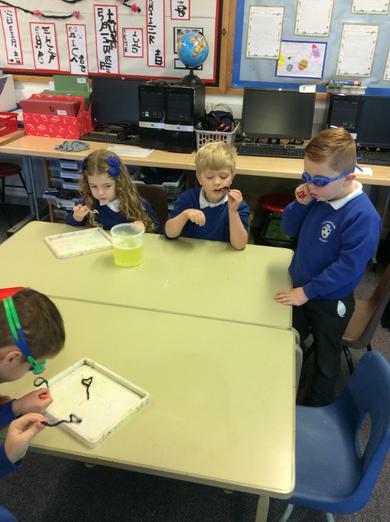 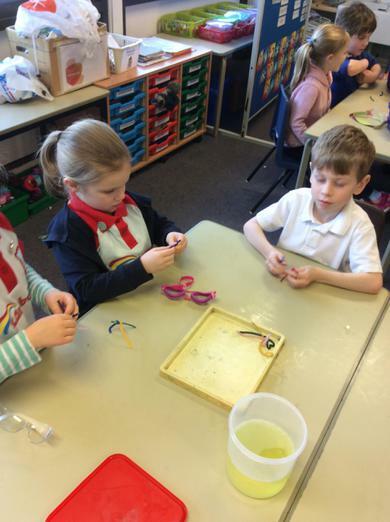 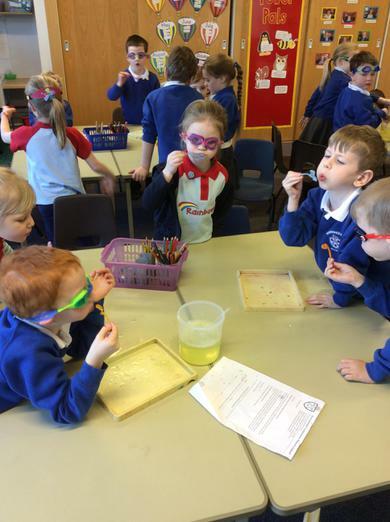 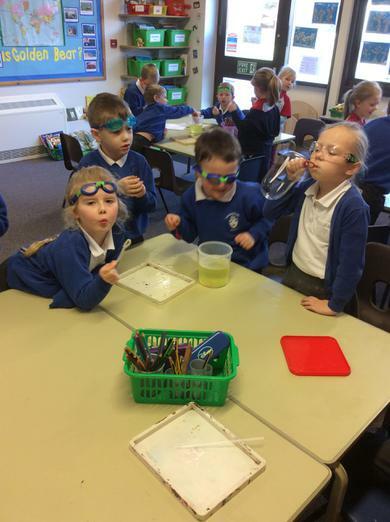 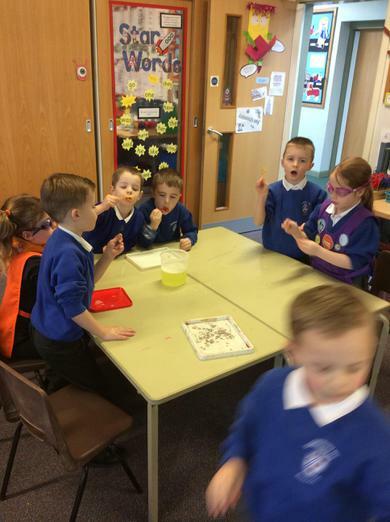 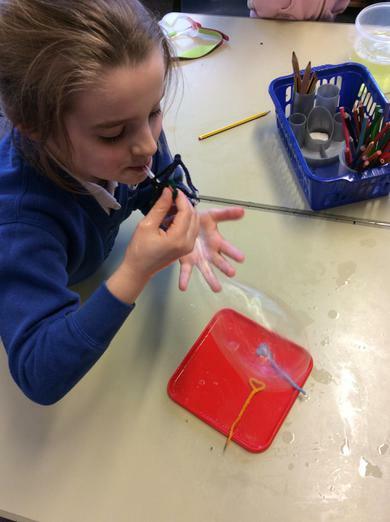 Thursday - We had fun making alien bubbles! 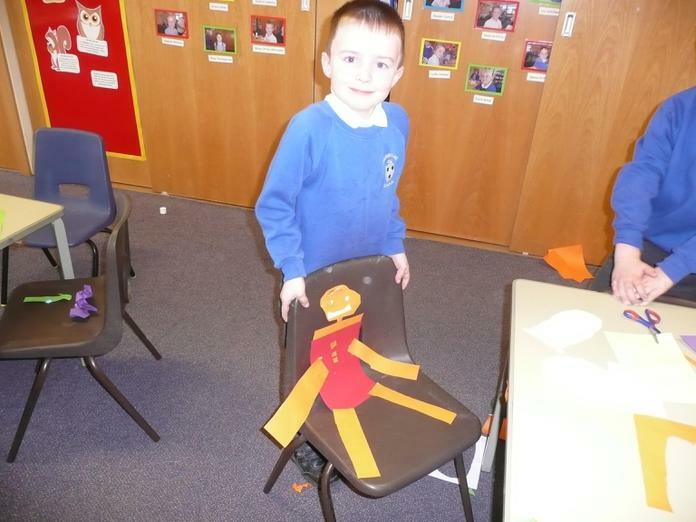 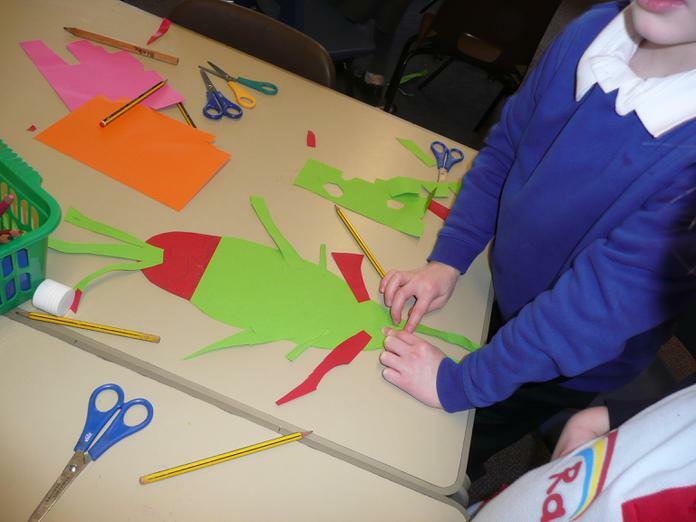 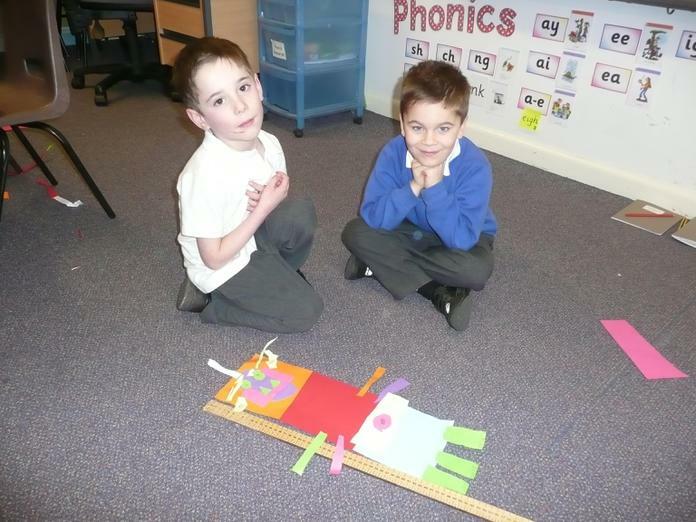 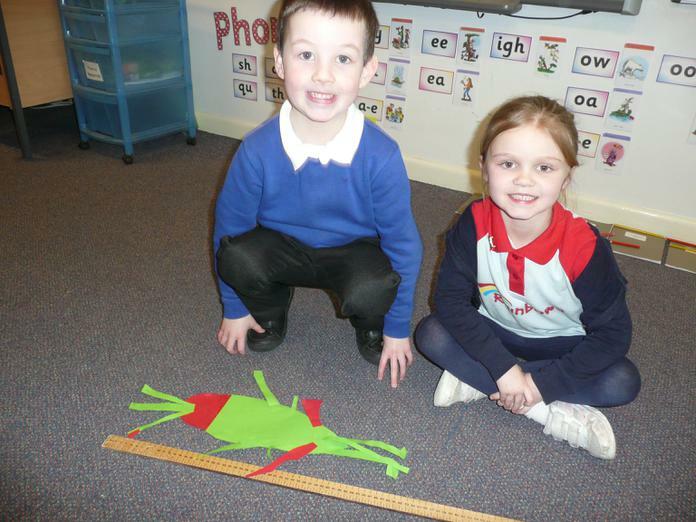 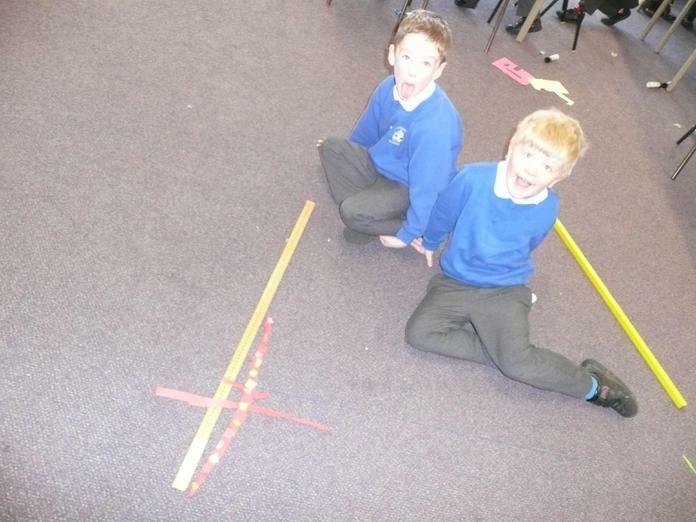 In maths, we worked with a partner to create an alien that was exactly 50cm tall. 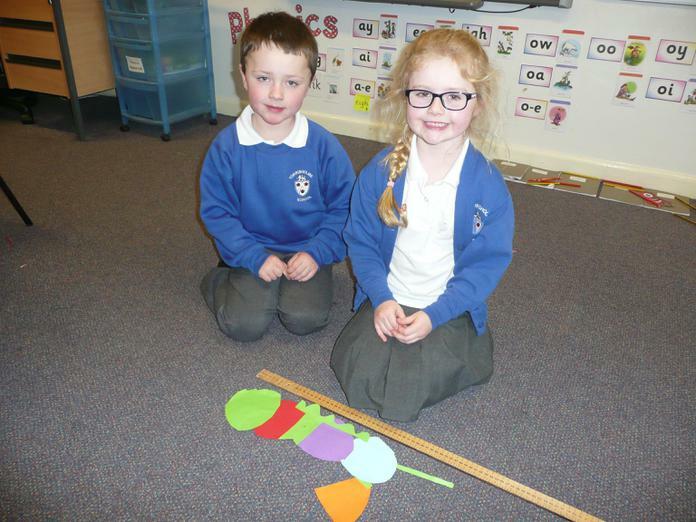 We used rulers to check the length of our creations and adapted any aliens which were longer than 50cm or shorter than 50cm. 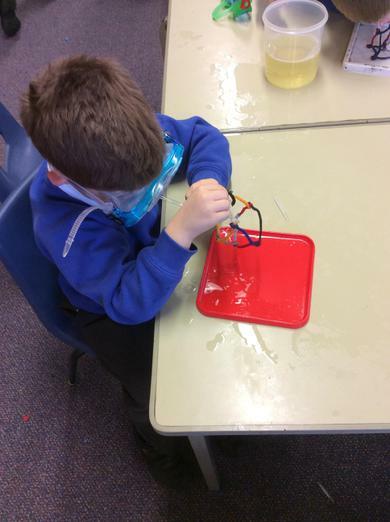 Today all of the children across the school have been mixed up for a special STEM task (STEM: Science, Technology, Engineering and Maths). 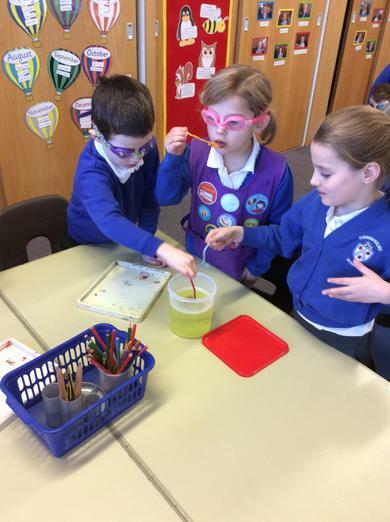 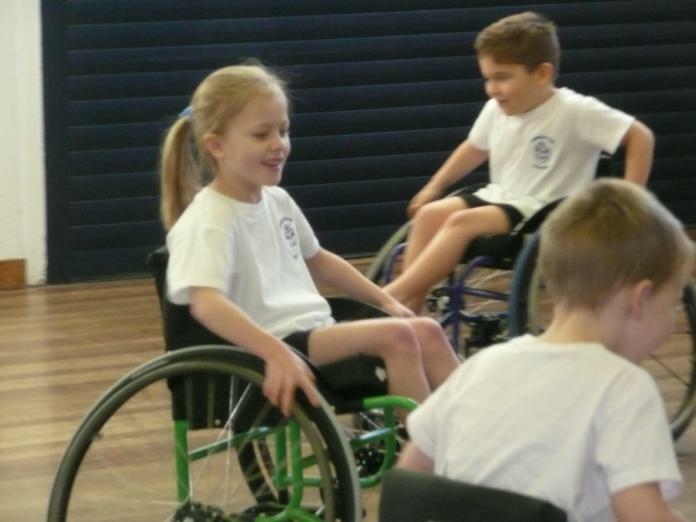 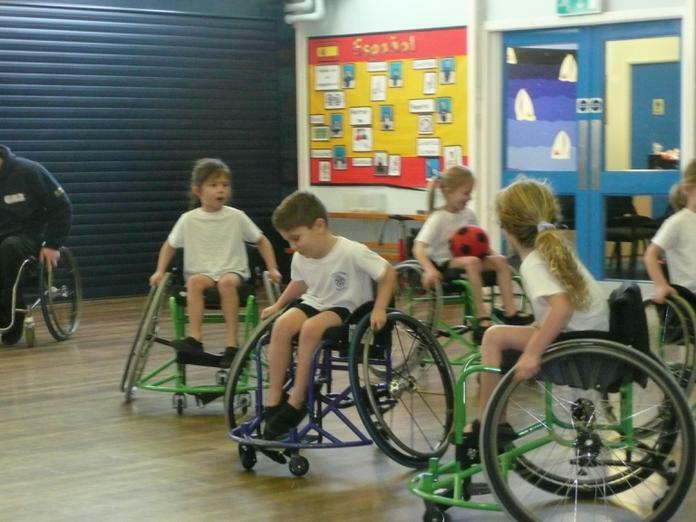 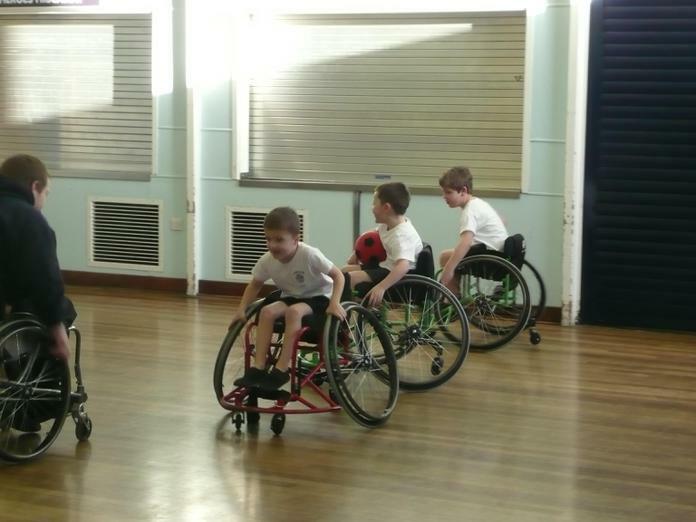 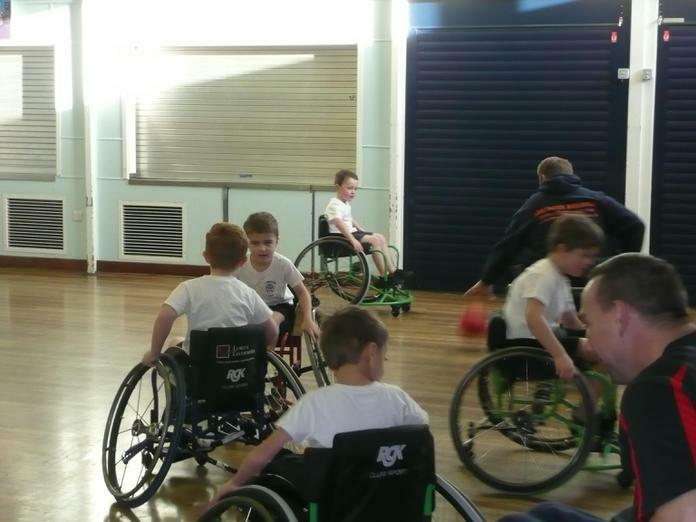 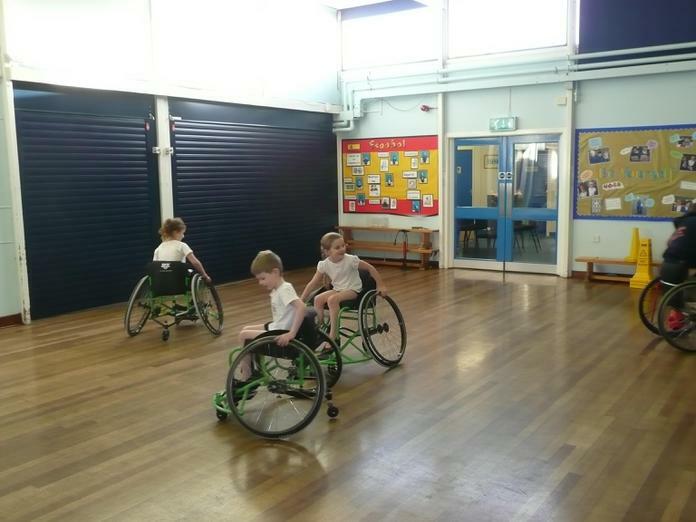 The children from 1B were spread out across all of the different classrooms in school and worked in a team alongside children from EYFS, KS1 and KS2. 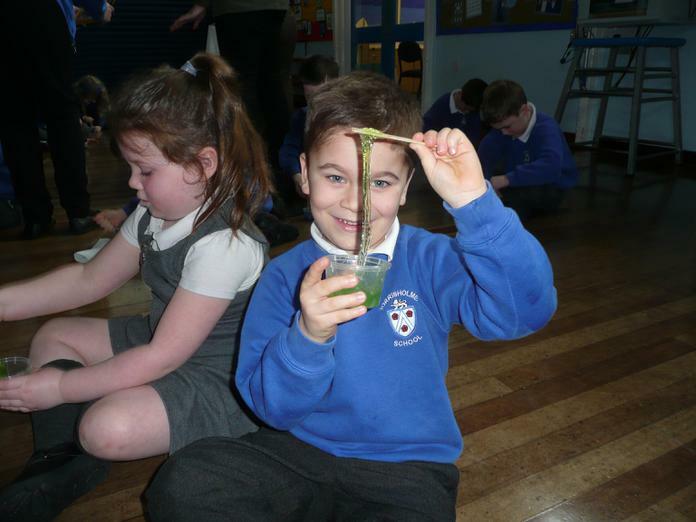 The challenge was to create the tallest structure which could hold a tennis ball using only newspaper, art straws and sellotape. 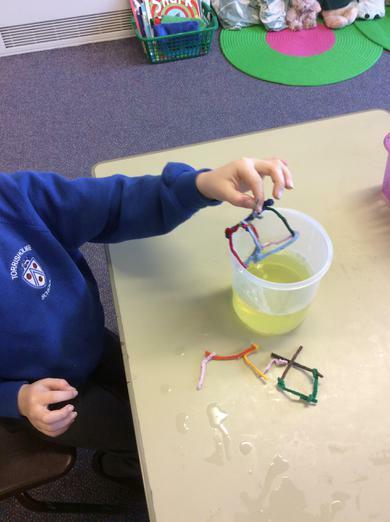 Everyone really rose to the challenge and some fantastic structures were created across the school. 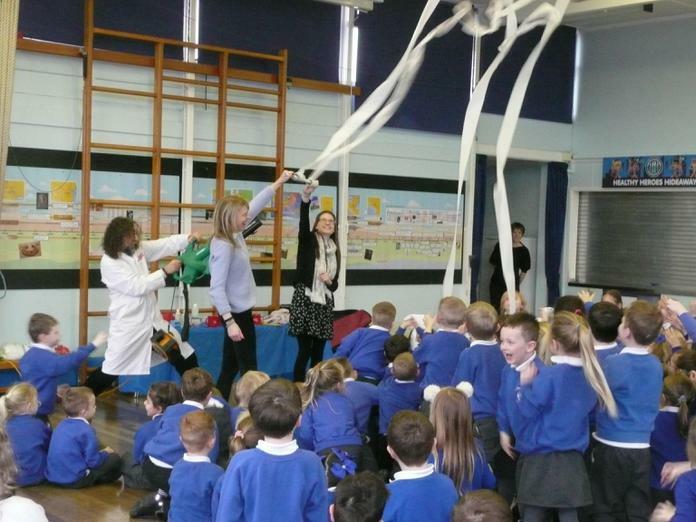 The day finished with an assembly to showcase the winning structures and to announce the name of a 'Science Superstar' from each class . 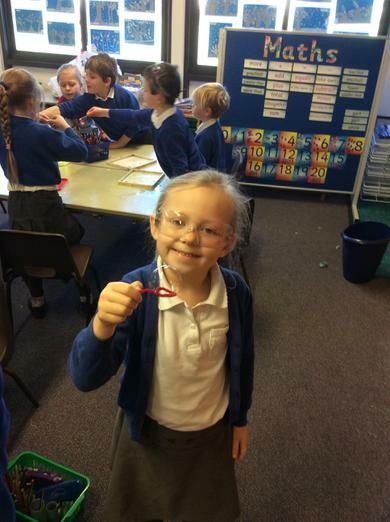 In 1B, Daisy was chosen as our superstar. 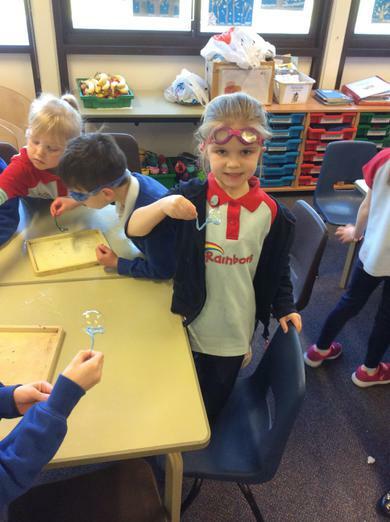 Daisy was chosen by Mrs Hunter in year 3 who observed Daisy building fantastic 3D shapes during the STEM challenge and working brilliantly as part of a team. 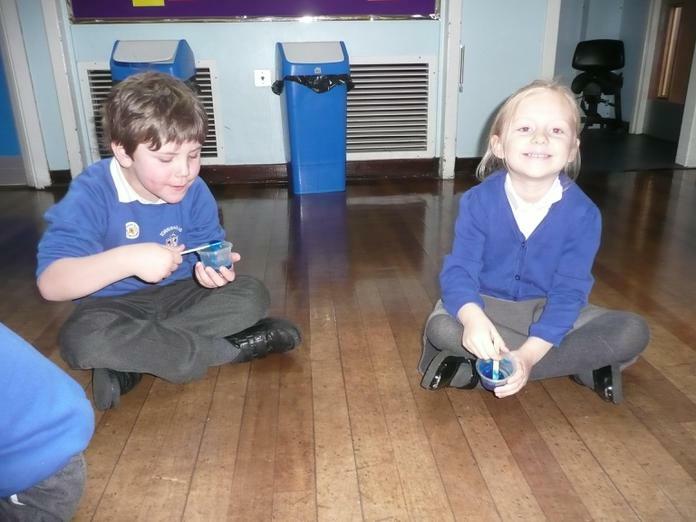 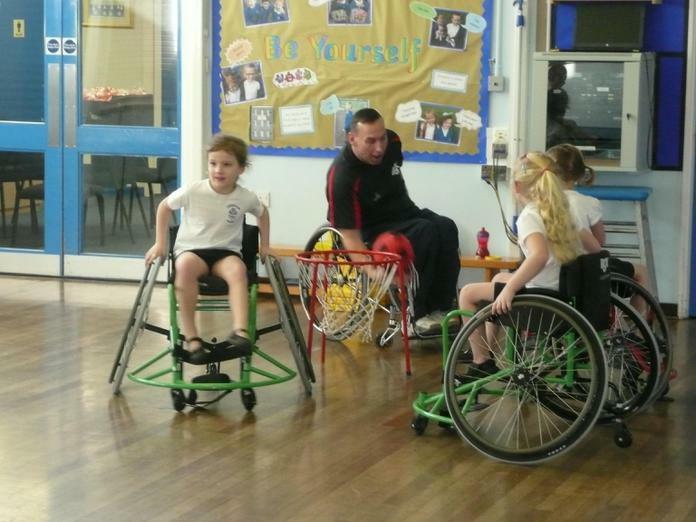 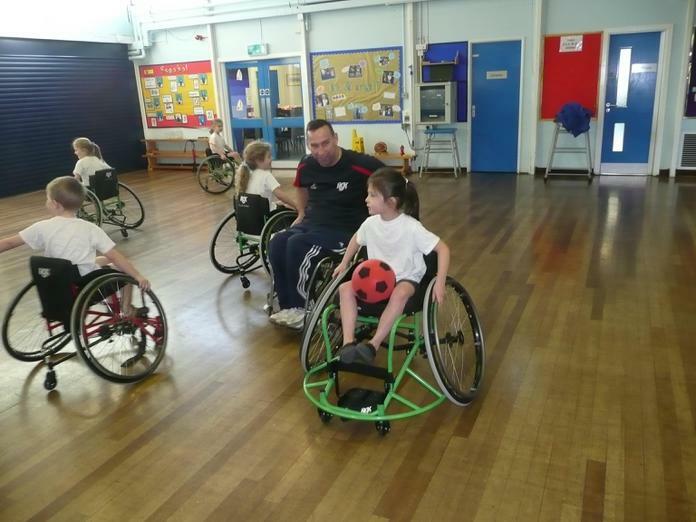 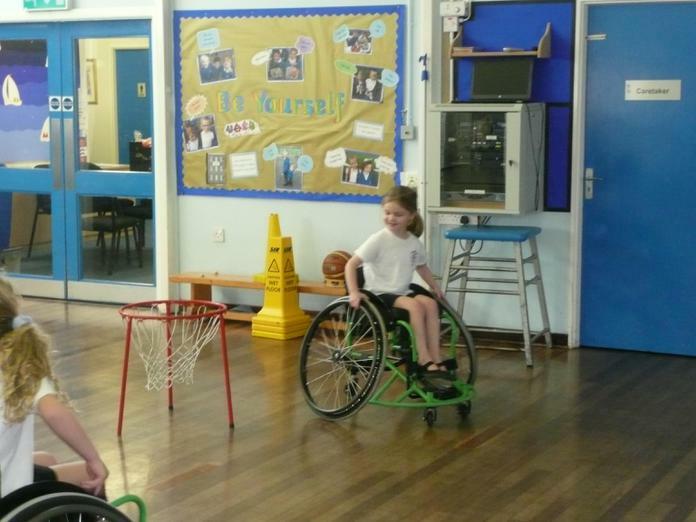 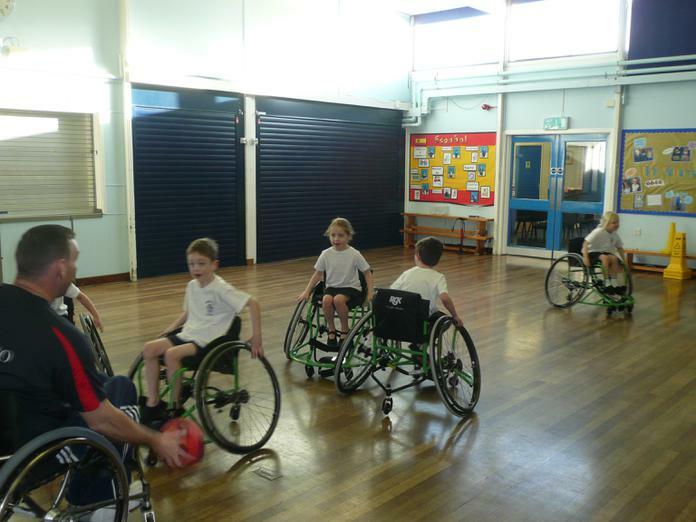 She really impressed the older children in her team who had assumed that the year 1's would need lots of help!